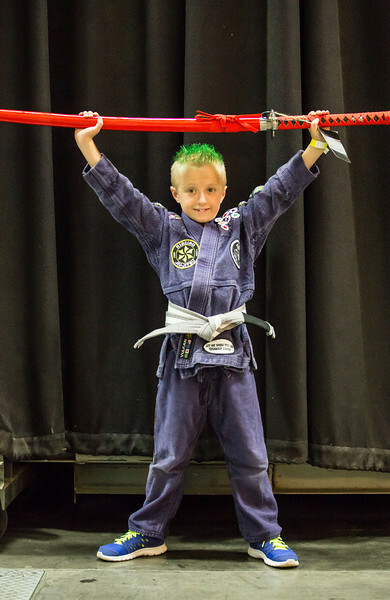 James started his Martial Arts journey at the age of 10 years old and has never looked back. He holds the rank of 3rd Degree Black Belt in Brazilian Jiu-Jitsu under world renowned Professor Giva "The Arm Collector" Santana of Lotus Club Jiu-Jitsu, and the rank of 1st Degree Black Belt in Aam-Ka-Jutsu (a form of American Karate). Over the past 25 plus years of his Martial Arts journey, James has dedicated 16 years of training solely to the art of Brazilian Jiu-Jitsu. He is an active Black Belt competitor and currently owns and operates one of the largest schools dedicate to BJJ instruction in the Pacific Northwest. In closing, James would like to thank all of his sponsors: Kristensphoto, Shoyoroll, BJJLibrary.com, Tape Armor, and Vigor Fuel Supplements for their continued support! Bruno Amaral was born in Rio de Janeiro, Brazil where he began studying jiu-jitsu at the age of fifteen under Crezio Souza of the Carlson Gracie Team. Aside from being an avid jiu-jitsu practitioner, he also studied physical education and personal training from Estácio de Sá University. In 2009, Bruno moved to Boston, MA where he continued studying jiu-jitsu under João Amaral of the Brazilian Top Team. Bruno was awarded his black belt from Professor João Amaral soon after placing second at the World No-Gi Championships in the Brown Belt division in March 2010. In July 2013, Bruno received his first degree by professor Joao Amaral and Daniel Gazoni. 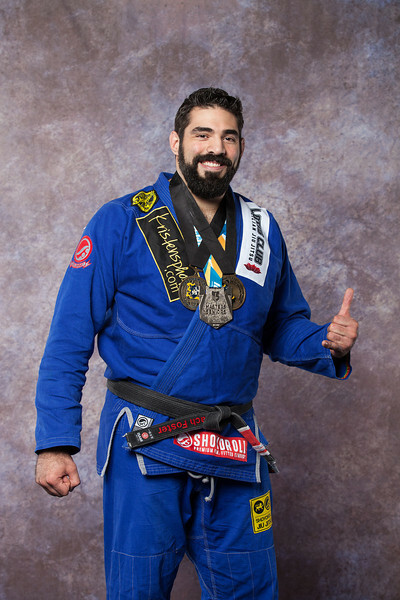 During his time in Boston, Bruno has been teaching jiu-jitsu at a variety of schools and assisting students through group and private classes and enjoys competing and coaching his students in a variety of tournaments across the region. 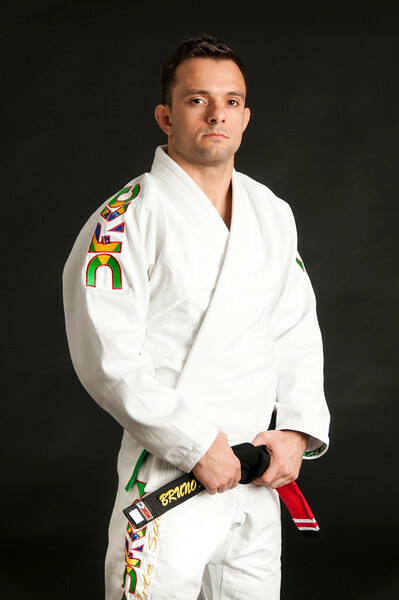 Today, Bruno is the head instructor at Brazilian Top Team Boston, located in Everett, MA. Nathalia has been a part of Brazilian Top Team since December 2007. She is a fourth degree black belt in Uechi Ryu, Martial Arts Instructor for over fifteen years, brown belt in Brazilian Jiu Jitsu, CPR / AED Certified, First Responder Member, and Notary Public. She is not only talented but also smart with a Masters in Business Administration and Bachelors in Economics and Finance. Nathalia is Fluent in English, Spanish, and Portuguese and her outstanding accomplishments as a Jiu Jitsu Artist are listed below. Brown Belt Assistant Instructor at Alliance Jiu Jitsu in Boise Idaho. He started out his grappling career in 2000 by wrestling at Hudsons' Bay High School in Vancouver Washington, where he had incredible coaching and training partners and got lots of good experience on how the mindset of a grappler and training like one should be, he hasnt looked back really ever since. After high school, like most wrestlers, he attempted going down the MMA road and started training with team quest in Gresham under the direction of Robert Follis, who gave me many great fundamental tools(like controlling your breathing etc.) that he still uses today. Every day on the mat at team quest was literally a who’s who of the NW MMA scene where you had no choice but to get better. However the MMA scene just wasn’t for him, He was a grappler at heart. After that Chris, along with his friend and local mma fighter Jon Ashworth, started a little basement MMA/grappling team named Kombined Styles, where he’d help get Jon ready for fights and himself ready for grappling tournaments, it was during this time in 2007 that he found himself wanting to train and compete in the GI as well so he started training with someone who would become a friend and mentor, Mel Locke at Universal Jiu Jitsu in Camas. He awarded Chris his blue belt about 7-8 months later. While training with Mel, Chris was also teaching BJJ at touch m up MMA(formerly Xtreme Couture Vancouver)on the i5 side of town under the guidance of owners and mma trainers Jay and Christa Shaffer, it was during this time that Chris gained his most exponential growth in the sport. He was competing heavily both locally and on the national stage via the mundials, NY open, etc. as well as training with everybody around the local scene as well as a few trips out to train with Marcelo Garcia at his academy in nyc. Chris earned his purple belt from Mel in Nov of 2010. In the summer of 2012 Chris and his wife Nikala were impelled to move to Boise, ID for work opportunities and because of this He came into the fortunate oppertunity to train under Professor Mitch Coats at Alliance Jiu Jitsu of Boise and have since been promoted to the rank of brown belt as well as holding a title of assistant instructor under him. Chris has been competing heavily since he was a white belt both locally and nationally and looks to compete 6-8 times per year on average. When away from Jiu Jitsu Chris works full time in bar security, loves spending time with his wife Nikala and two boys Christian and Caden, and is into playing console shooters competitively. Matthew Kates started practicing BJJ in 2012 after watching a MMA (Mixed Martial Arts) bout in which a smaller guy beat a larger and more skilled striker via “tapping him out”. While originally only doing No-Gi Brazilian Jiu-Jitsu (BJJ) and MMA in hopes of maybe fighting one day, Matthew eventually ventured into Gi BJJ and fell in love with strictly pure BJJ. 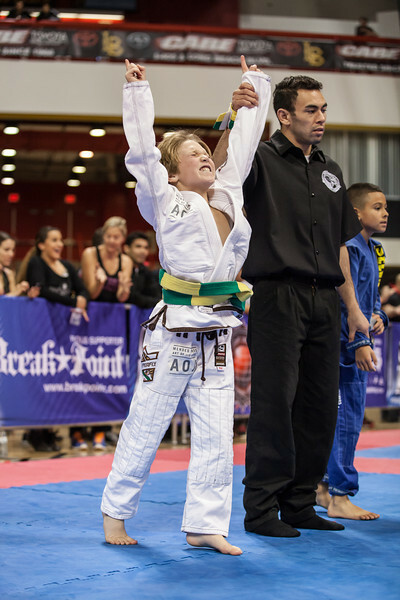 Shortly after starting BJJ he competed and medaled in many local tournaments. Matthew, jumping straight into the big leagues, competed in his first international tournament just after practicing BJJ for a little over a year in a half, when entering the 2013 IBJJF No-Gi World Championship last year. Matthew came in first in his weight class and tied for third in the absolute class in the Juvenile 2 Division (ages 16-17), making him the 2013 IBJJF Juvenile 2 No-Gi Ultra-Heavy World Champion and a bronze medalist in the Absolute Class. In doing this, Matthew is ranked overall by the IBJJF #5 in the world in the Juvenile 2 division. While he just turned 17, in being born in 1996 Matthew is considered an adult according to the IBJJF. He is looking forward to competing as an adult and teen in the upcoming year and is ecstatic and honored to be able to do so representing Kristensphoto. Terri is a life-long athlete who hails from Huntington Beach, California. Her sports career began at the age of six years-old with softball, which she pursued to the university level. In 2003, Terri retired from softball and discovered Brazilian Jiu Jitsu at a local MMA gym a few years later. Unfortunately, academic responsibilities, injuries and life dragged her attention away from training until 2011, which is when she discovered Costa Mesa Training Center. There, she began training under Professor Felipe Fogolin – a black belt in BJJ under Cleber Luciano as well as a decorated Judo competitor and black belt: who reignited her passion for BJJ. Felipe inadvertently ignited her competitive nature by encouraging Terri to compete early in her tenure at CMTC, and in the past two years Terri has entered 21 tournaments and earned 40 medals. This includes several regional and world titles in both the International Brazilian Jiu Jitsu Federation and the Sport International Brazilian Jiu Jitsu Federation. Off the mat, Terri is a California State University Fullerton graduate, a practicing Realtor and mother to two loving Pit bull Terriers. Aidan Gassel, Newport Beach, CA. Aidan was born & raised in Newport Beach, California. A friend’s father first introduced him to Jiu Jitsu in 2012. One day he just strolled into the Art of Jiu Jitsu to take a look and was hooked! He now trains under the Mendes Brothers (Guilherme & Rafael Mendes). He is honored to be part of the kristensphoto.com family. Aidan also loves to surf (what Newport boy doesn't? ), skate and ski. And loves to learn - especially math & science. A little known fact about Aidan is his ability to solve the Rubik Cube in less than 2 minutes. I would be nowhere without my professors, training partners, sponsors, supporters & Family. Thank you!! I am 9 years old. I started Jiu Jitsu in November 2012 at Salem-Keizer Brazilian Jiu Jitsu. I have tried a couple other sports like baseball and soccer but didn't enjoy them that much. I have always wanted to play football but can't because I had head surgery when I was younger. I wanted to do a sport so my mom and dad started looking for other after school sports I could do. My dad found Jiu Jitsu classes and told me what Jiu Jitsu was and we watched some YouTube videos about it. After that I wanted to try it out and see if I liked it. I have had a lot of fun since starting at SKBJJ. I have met some really cool people and have a few friends that I go to school with that go to SKBJJ now. 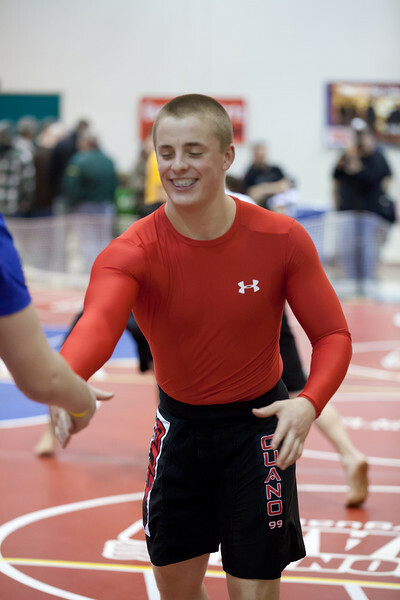 I love competing at the tournaments also. They are really fun and give me a chance to try all the cool moves my Professor and Instructors teach! When I am not learning Jiu Jitsu I like to play outside with my friends. I also like to go boa ting, camping and hunting with my family. My goal is to one day be a Black belt and have my own academy!!! I have competed in 5 competitions in my first year. Break through 1st place at NAGA!! !